A lot has changed over the past decade and a half. We’ve gone from goofy flip phones to ultra-thin smartphones that do everything from taking your blood pressure to finding lost car keys. As a company, we’ve grown from just four camp locations and a handful of impassioned employees to having more than 150+ summer camp locations and a robust and supportive employee base who love what they do. 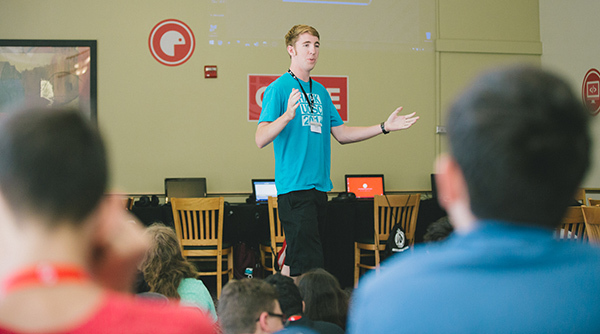 Change is pretty awesome, but over the past 16 years, there’s one thing that hasn’t changed around here: our commitment to ensuring that every iD Tech camper has an out-of-this-world experience. This year we read nearly 50,000 camp evaluations and responded to innumerable emails to get the pulse on what campers (and parents!) loved and what they’d like to change. We listened, and made improvements when possible. Here are some of the awesome changes we’ve made (or will be making) for summer 2016. “What’s the difference between C++ and Java?” What is your medication policy?” These are just a few of the questions our Program Advisors hear on a daily basis. This year we decided to make all of this information (and much more!) accessible to our clients through a simple and intuitive Help Center. Now, when you have a question about what to do when you’re running late for camp check-in, you can find an answer quickly and conveniently. Just head to the Help Center, type out your question, and see what answers pop up. If you can’t find the answer immediately or want more information on a specific topic, you’ll be able to submit a request to our Program Advisors directly from this page. You’re at work, registering for camp in January to take advantage of our Winter Special. About half-way through the registration process, you remember that Aunt Judy offhandedly mentioned visiting the week you’re registering for, and you want to figure out whether you can change your registration should Aunt Judy actually arrive (let’s just say she doesn’t have the best track record). 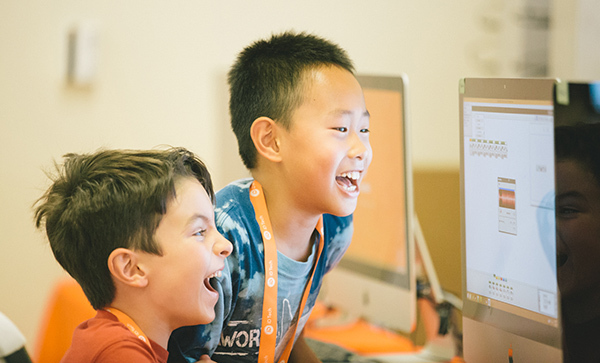 You could call a Program Advisor to learn more about our policy on changing dates (at iD Tech, you can make changes to your registration details up until three weeks before the start of camp—with no fees!). But maybe you don’t want your supervisor to see you chatting away on the phone. Luckily, you can pull up Live Chat directly from our webpage and get an immediate answer from our Program Advisors without any sort of disruption whatsoever. Live Chat is available during our regular business hours when agents are available. Chat with us by clicking on the green bar near the bottom of our webpage. Parents and children are loving our newest camp divisions, iD Tech Mini (ages 6-9) and Alexa Café (all-girls, ages 10-15). The one complaint we heard last year was that there weren’t enough locations; more people would attend if only the camps were closer. We helped solve that problem by expanding our lineup of locations for these two camp divisions. Alexa Café is now held in 9 states nationwide, including Colorado, New York, Texas, California, and Massachusetts. Notable new iD Tech Mini campuses include Concordia University (Texas), UC San Diego (California), University of Denver (Colorado), and many more. Be sure to use our Location Finder tool to see if one of these camps is near you. It’s impossible to count the many students who have attended camp for the first time after hearing about it from a friend or classmate. Not only are we grateful and appreciative of customers telling their friends and family about us, but we know how much fun camp can be when it’s full of friends. This year, we’ve made it easier than ever before to share camp with your besties. As part of our brand new Refer a Friend program, every customer is given a unique referral code (find yours when you log into your account). You can share this code directly on Facebook or Twitter, or send it to friends via email. Heck, you could even write it down and put it on your club’s bulletin board; the possibilities are endless. What’s even better is that you’ll earn a $50 credit for every new friend who registers for camp, and your friend will save $50, too! (When a new customer registers for iD Tech Mini, you each save $20). We call that a win-win. When we asked parents what makes their camp experience exceptional, we kept hearing that it all starts with a conveniently located campus. Nobody wants to spend their summer chauffeuring a car full of excited children in traffic, right? So when we expanded our camp lineup to 150+ locations this year, we kept our customers in mind. Our team looked at where customers were coming from in past seasons, and tried to find awesome campuses that would be closer to where those people already live. Then we created a brand new Location Finder tool so that you could see which of our five divisions is closest to you. Search by zip code, state, or even landmark to find the most convenient option for you. When we say that iD Tech Academies offer the most immersive summer technology experience imaginable, we aren’t kidding. To make the experience even better, we’re making Industry Insights a fixture at both of our esteemed summer academies. Industry Insights may include tours at game development and design studios, presentations from staff who work in the field, outside speakers discussing their position in the industry, and more. We want to make sure that teens get a taste of what it’s like to live and work as a professional in the industry, and we know that depending on the camp location, there are plenty of great ways to go about accomplishing that goal. How’s that for inspiration? If your daughter attended an overnight session at Alexa Café last year, then you know just how much fun she had. From completing DIY crafts to frozen yogurt socials to silly lip sync competitions, girls have a blast extending their Alexa Café stay. That’s why we added more opportunities for girls to make friends and explore the collegiate environment in our overnight programs. Optional weekend stays are now available at select Alexa Café locations. 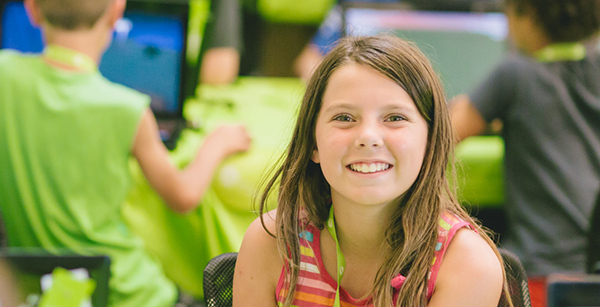 Our campers (and their parents) want to learn about the most cutting-edge technology on the planet. As 3D printing becomes more accessible, we know that more jobs and opportunities will be created in the 3D modeling and printing space. And we, like the parents we serve, want our campers to be prepared to take on these opportunities and challenges. For summer 2016, 3D printing courses will be offered at iD Tech Camps, Alexa Café, and iD Game Design & Development Academy. On a personal note, we've had a Dremel 3D Idea Builder in the iD Tech office for a few months now, and I can honestly say that it is AWESOME. Your kids will love checking out this new technology at the #1 tech camp in the country. Every summer we deliver the most incredible technology experience for our campers and their families. If you're excited about what's in store for summer 2016, be sure to secure your spot today to avoid the waitlist. 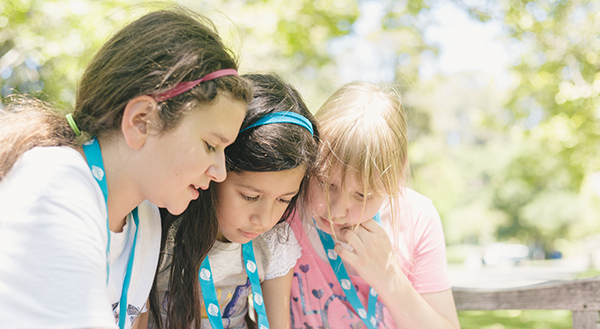 Use our Location Finder tool to locate camps near you, or browse our comprehensive selection of 60+ courses to find a topic your child will love.